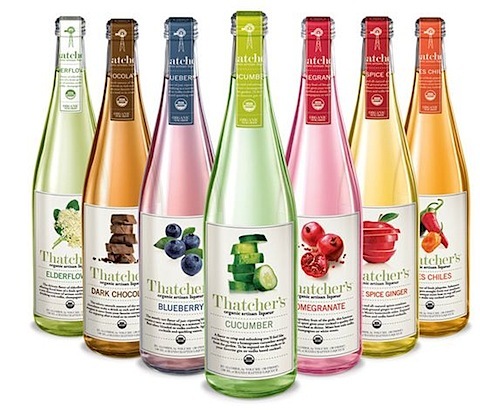 A brand on the cutting edge of the premium cordials market, Thatcher’s Organic Artisan Liqueurs are made from sustainably farmed, all natural ingredients that are USDA certified organic . The brainchild of Dave Racicot, a former vice president of marketing for Campari and SKYY Spirits in the USA, Thatcher’s Organic Artisan Liqueurs are a line of eight flavours: cucumber, elderflower, apple spice ginger, pomegranate, tres chili, dark chocolate, chipotle and blueberry. The liqueurs are ackaged in lightweight, recyclable glass bottles and the labels are made from recycled materials. Next Post Africa – the undiscovered country?